Good news for afternoon tea lovers: The Peninsula Hong Kong has extended its popular Tiffany & Co inspired tea until the end of this month. The New York Spirit afternoon tea includes cupcakes in Tiffany blue and white, New York cheesecake with blueberries and cream and Tiffany & Co boxes in cake form: vanilla mousse, strawberry marmalade and almond joconde sponge. The New York Spirit Afternoon Tea set is available at The Lobby, The Peninsula Hong Kong, until 31 August 2016. Wowee – look at this tea! The Gateway hotel in Hong Kong has Put a Ring on It – its afternoon tea that is. 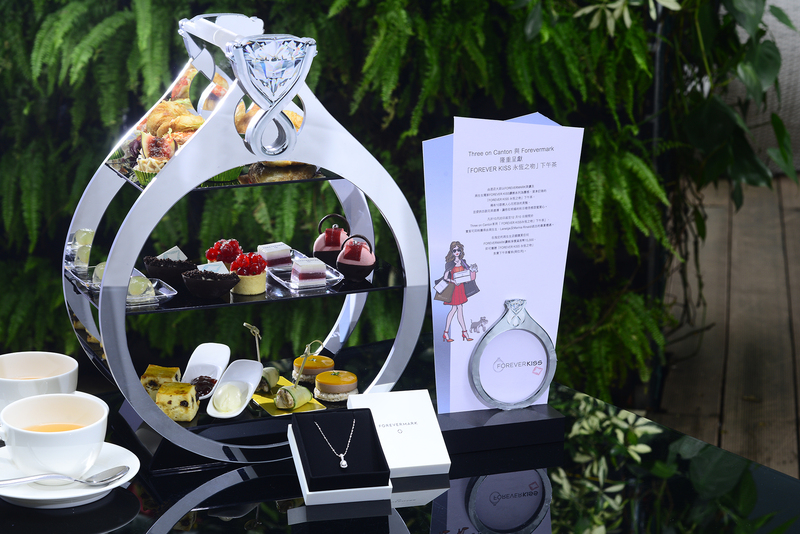 In celebration of jeweller Chow Sang Sang’s new Forever Kiss collection featuring Forevermark diamonds the hotel’s Three On Canton chefs have created a show stopping Forever Kiss High Tea. The tea includes suitably luxurious lobster croissants, wild mushroom and truffle oil rolls and foie gras with mango jelly all displayed on a fabulous diamond ring shaped stand. Available until December 10th 2015 at HK$488 (plus service charge) for two people. All the Single Ladies will be hoping for an invite from their boyfriends, Chopstix predicts. Did someone say Strawberry Chocolate Fantasy? 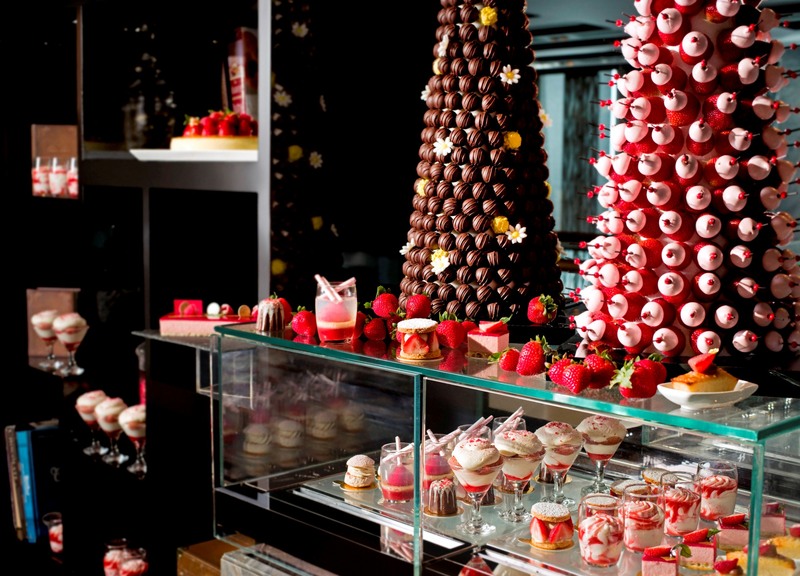 Oooh lah lah: This Marie Antoinette-esque sugar fest is the Ritz Carlton Hong Kong’s Strawberry Chocolate Fantasy afternoon tea buffet launching on September 1st. Chopstix ventures to Blighty this month for a subject close to our hearts: Alice’s Adventures in Wonderland. 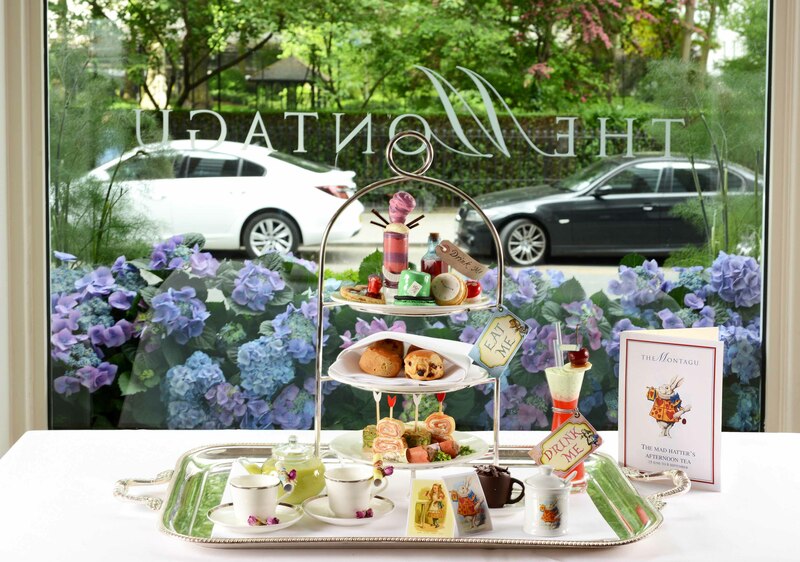 As this year is the 150th anniversary of Lewis Carroll’s book those clever people at the Hyatt Regency London’s The Churchill hotel have created a Mad Hatter’s tea. Novelty afternoon teas are two a penny (bun) these days, especially in Hong Kong, but this one at The Montagu restaurant is pretty special.